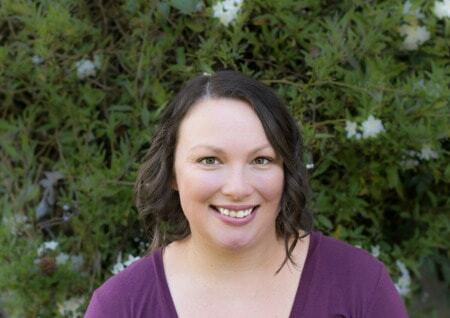 February 1, 2017 By Aileen 6 Comments This post contains affiliate links. As an Amazon Associate and member of other affiliate programs, I earn from qualifying purchases. Whip up a batch of instant pot chicken stock in no-time with this quick and easy tutorial. 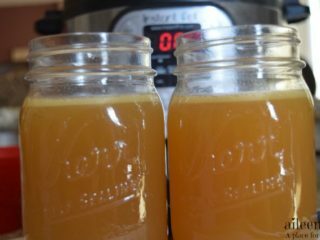 Making chicken broth in the instant pot is quick and simple with this recipe for instant pot chicken stock. Chicken stock has so many great uses from making flavorful instant pot soup recipes, to adding a little something extra to other instant pot recipes (like this salsa chicken taco recipe). New to the instant pot? Check out our instant pot guide here. 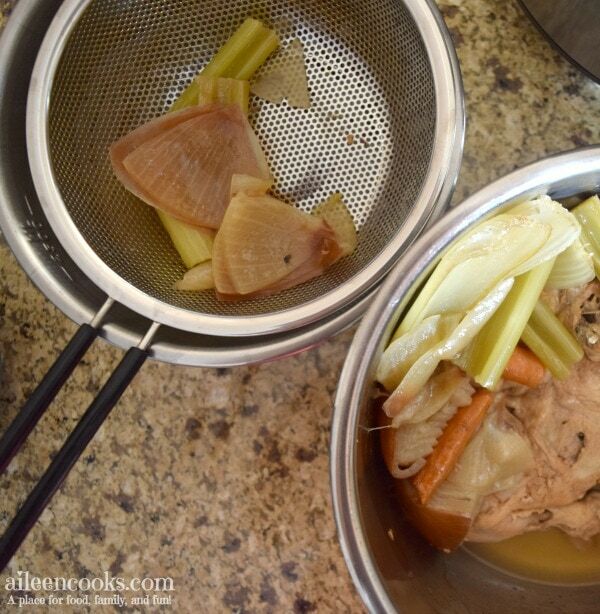 To make the chicken broth, you will need leftover chicken bones, a handful of vegetables, spices, and water. I used leftover rotisserie chicken for this tutorial, but you can also use up the bones from homemade chicken. Don’t have an Instant Pot? 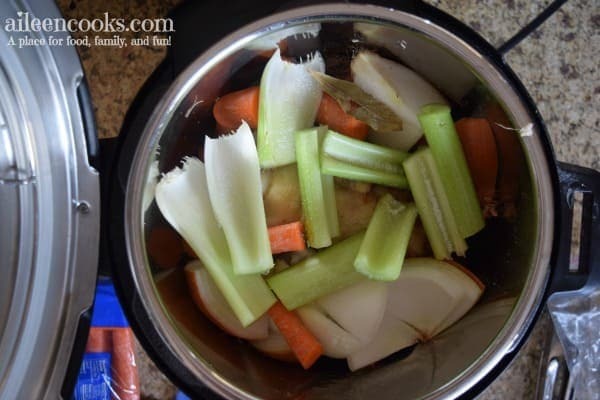 Check out this recipe for overnight chicken stock in the slow cooker! Start by placing your bones and any unwanted meat in the bowl of your instant pot. Top with veggies, water, and spices. Cook on the soup setting for 30 minutes. Once your broth is ready, ladle it into a mesh strainer over a large mixing bowl. Throw out the leftover bones and veggies, or reuse for another batch of instant pot chicken stock. 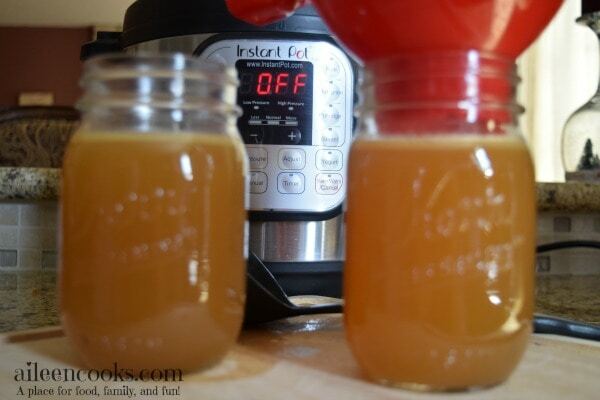 Ladle the broth into mason jars using a wide mouth funnel. 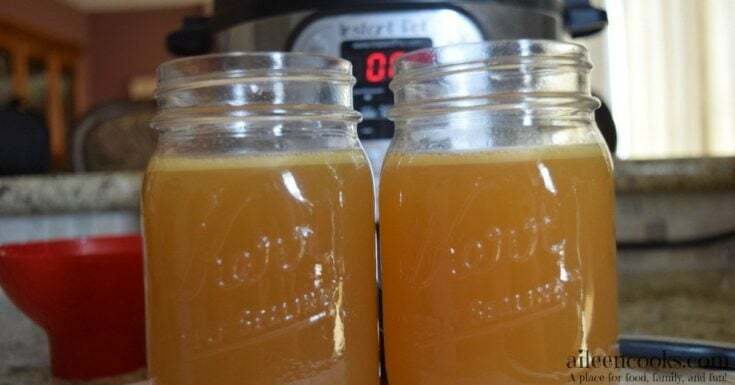 If you plan to freeze the instant pot chicken broth, leave at least 1 inch of head space to prevent cracking of the glass as the liquid expands. 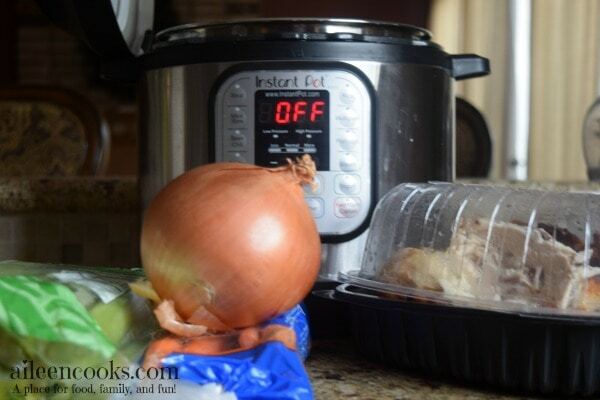 The instant pot chicken broth can be frozen for up to 3 months. It can be defrosted overnight in the refrigerator, or on defrost in the microwave. After having too many cracked jars, I am sad to say I no longer use this method. Instead, I pour the cooled instant pot chicken broth into freezer safe zip-top bags. I get as much air out as possible and seal them. I freeze them flat so they take up less space and defrost quickly. Never miss a new Instant Pot Recipe! Sign up for our weekly newsletter. 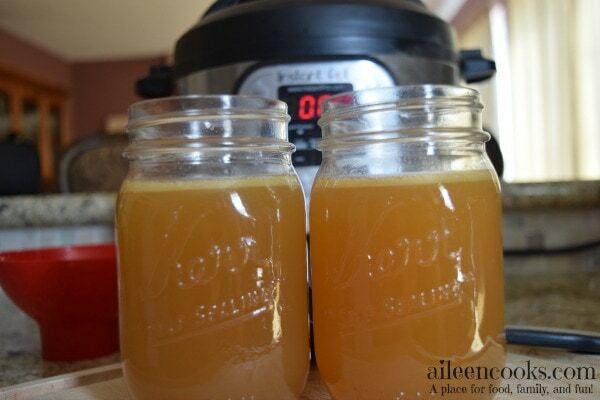 Make chicken stock lightning fast with this instant pot electric pressure cooker recipe. 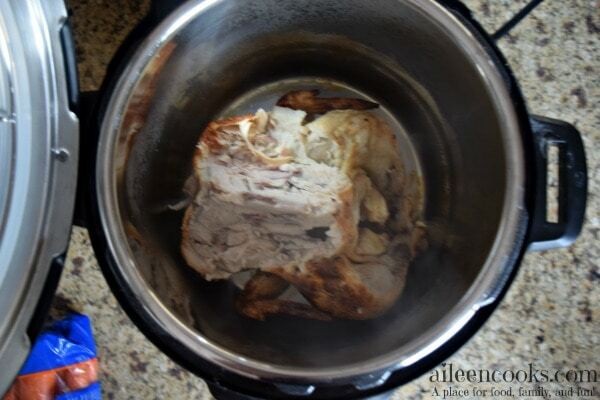 Place chicken bones and skin in the bowl of your instant pot. Roughly chop all vegetables and place on top of the chicken bones. Add in bay leaf, salt, and water. Set instant pot to soup for 30 minutes. Strain liquid through a mesh strainer into a large bowl. Ladle chicken stock into jars. Store in the refrigerator for up to 1 week or in the freezer for up to 3 months. 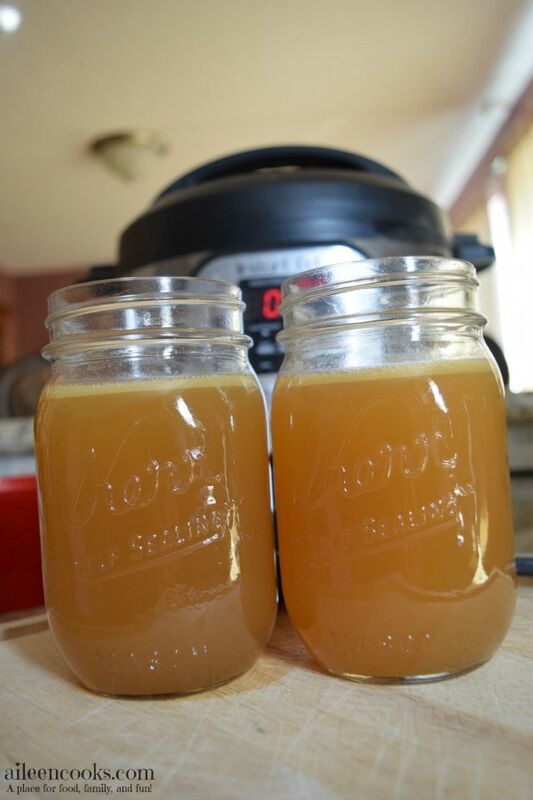 Tried this recipe for Quick & Healthy Instant Pot Chicken Stock? Let us know what you thought in the comments. Hi Christa, the broth is good for 1 week in the fridge. You can also freeze it for long term storage. This recipe is great, and I use it all the time, but the cook time is misconceiving (and actually totally messed up my dinner the first time I did it.) When you factor in the time the Instapot takes to pressurize and then naturally release, the cook time is probably over and hour or so. Still, a great recipe and thanks for sharing. Hi Carol! Thank you for bringing this to my attention. You are right, it is misconceiving. I am going to update the cook time to reflect the additional time need to come to pressure and release pressure.